Mary Del Bianco has created art since she was a teenager. She studied art and applied design at the University of Maryland, and sculpture at the Washington Studio School. For 20 years, Mary worked as an elementary and middle school art teacher where she was influenced by the playful and interactive energy that her young students brought to their projects, and she strives to apply the same creative approach to her own work. In 2013 Mary was accepted into the Capital Arts Network, where she began building a clay community with two fellow ceramic artists. They recently re-located the studio to Kensington, MD. At the kind invitation of Judith HeartSong, Mary is now displaying recent work at Artists & Makers Studios with a group of ceramic artists. 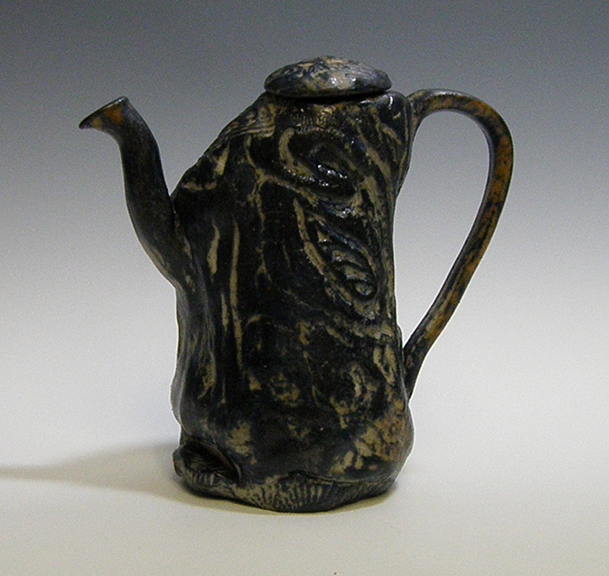 Mary has concentrated on clay as her medium since 2001. She finds clay fascinating because the purposeful manipulation of the raw material is always tempered by the need to ensure every piece has enough structural integrity to survive firing, and because the end result – especially with wood firing – is always affected by factors outside the control of the artist. 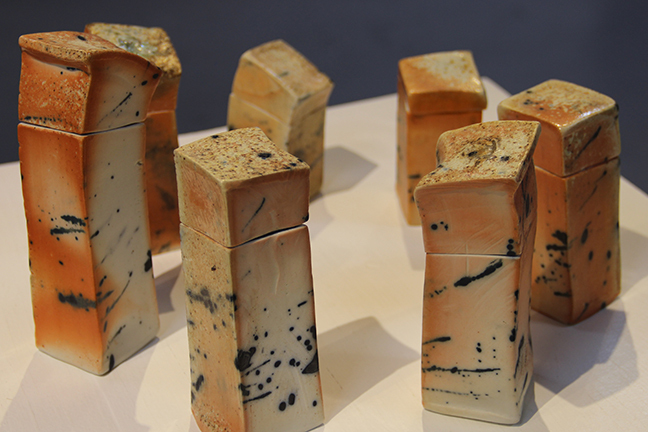 Mary creates rustic pieces that are sculptural and reflect spaces and places in the natural world, including nests and stratification found in rock formations.